Vacation Rentals for Profit is just that! 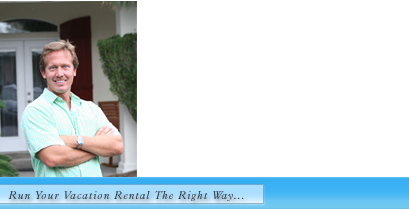 We are here to help you run your Vacation Rental unit to it's highest potential. Done properly, your Vacation Rental unit can be a fun, profitable business that provides years of steady income and a wonderful place to visit. Let me help you turn your unit into a pleasure to own and operate. Click here to learn more about us and how we can help you! You deserve to have a profitable unit! Get started today! If you currently own or are thinking about buying a VACATION RENTAL, you have come to the right place! The "Old School" of running a Vacation Rental would have you paying up to 40% commission to a local management company, which is just not practical any longer. With the raising prices of most Vacation Rentals, it just does not make financial sense to give away half of your rent plus pay all the fees associated with a running a unit. It is possible to run your Vacation Rentals for a Profit. Using the power of the Internet and proper business sense, you can have a fully booked unit, use the unit when you want and enjoy the benefits of running a successful business. We are here to help! 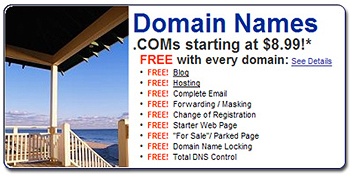 "Contact Us" today to get started running your VACATION RENTALS FOR PROFIT! Click To View This Listing Success Story! Listen to this owner! He followed our system and grossed over $30,000 in his first 3 months using our program. If you need help with your CASH FLOW be sure to attend the next seminar! Your checkbook depends on it! FREE BOOK TO EVERY SEMINAR ATTENDEE!